Australia has a surprising new heavyweight in oil production – the western flank of the Cooper-Eromanga Basin. Source: Energy Resources Division DMITRE Oil production from this arid and remote region 800 km north of Adelaide has jumped by 47% over the past three years to almost 10 MMb, based on data produced by consultancy EnergyQuest for the year to June 2013. Production is still climbing sharply and looks set to reach 12 MMbo this year, making the western flank a bigger oil producer than the famous fields of Bass Strait, and second only to BHP Billiton’s Pyrenees FPSO off the North West Cape. It is a remarkable revival for an area that was considered by many explorers to have yielded all its recoverable oil for Santos in the 1980s and 1990s. In the late 1990s, the State Government of South Australia forced Santos to relinquish large tracts of the Cooper-Eromanga Basin. The company had held a near-monopoly for decades, but the government was keen to introduce new players with new ideas. The western margin was let go on the basis it had little left to give. The fact that oil prices were less than $US20 a barrel made the decision easier than it might appear today. Beach Energy and Stuart Petroleum (now part of Senex Energy) had other ideas about the potential of the neglected western margin. 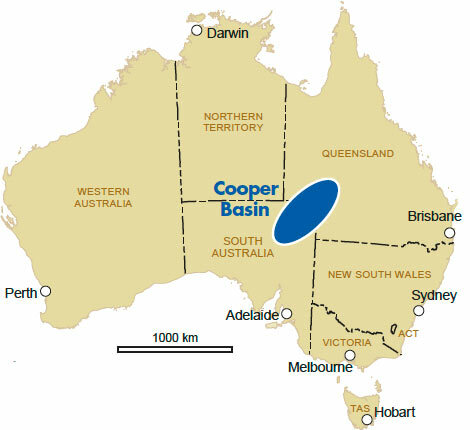 Both companies had noted the eastern margin of the Cooper, which included Australia’s largest onshore oilfield at Jackson in southwest Queensland, had produced about twice as much oil as the western margin. They reasoned the western margin had simply not been adequately explored. The eastern flank play relied on Permian-sourced oil in the Cooper Basin migrating upwards into Jurassic age reservoirs in the overlying Eromanga Basin. The new explorers applied for acreage on the western flank up-dip from Permian source rocks, and in direct communication with Jurassic reservoirs. Of key importance was finding areas where the Triassic regional seal at the top of the Cooper Basin had been eroded away before the deposition of the Eromanga sediments. Beach was the first of the new explorers to hit success with an oil discovery at Sellicks-1 in PEL-92 in 2002. The routine use of 3D seismic has been a game changer for the new western flank explorers, which also include Drillsearch and Cooper Energy. The success rate for all exploration wells drilled on 3D seismic has climbed to a remarkable 56% across the Eromanga basin, with even higher rates in parts of the western flank. 3D seismic has also made it possible to identify subtle stratigraphic traps in the form of palaeo river channels, with Senex being the leading exponent of this play type. The Brisbane-based company has embarked on a massive campaign of 3D seismic surveys across several thousand square kilometres with the aim of creating a production line of drillable stratigraphic prospects. The new boom in oil production is generating rivers of cash for the western flank producers. Companies such as Beach, Senex and Drillsearch have been catapulted into the ranks of Australia’s top 200 companies thanks to profit margins in excess of AUD75 a barrel. While fields are typically small to moderate in size, they are being developed at low cost by laying flowlines to the Cooper Basin’s central gas processing centre at Moomba. Santos built a major liquids pipeline from Moomba to a liquids processing and export facility at Port Bonython on South Australia’s Spencer Gulf in the 1980s. With such attractive financial returns, an increasing number of junior overseas explorers are keen to find ways to grab their own share of the Cooper Basin oil boom, including Canadian Bengal Energy, along with Holloman Energy and Discovery Energy Corp, both based in Houston. Acreage in the heart of the western flank is tightly held, but the state government recently released two areas in the south-west and south of the Cooper Basin that offer some exposure to the oil play that has generated so much recent success. Explorers are also taking another look at the eastern flank. Beach is about to shoot a 3D seismic survey in a large and overlooked area where, until the end of last year, only eight wells had been drilled across the entire area, with no discoveries. Earlier explorers were mesmerised by the Tookoonooka asteroid impact structures that dominate the area. Beach is counting on 3D seismic to unravel the complicated structures in the area and identify potential traps for Permian-sourced in overlying reservoirs of the Eromanga basin. If successful, it will be another major new chapter in the Cooper-Eromanga oil story and ensure that onshore production takes an even bigger role in the Australian petroleum scene. Most of the sub-basins of the North Sea geological province are now considered to be in a mature exploration phase. The supermajors are consequently on their way out. Thanks to various initiatives in both the Norwegian and UK Sectors, however, the pace of exploration is being kept up by a high number of ambitious small companies. The North West African Atlantic margin (NWAAM) is entering a new phase of activity.